The Bagong Nayong Pilipino-Entertainment City Manila is a massive, fully-integrated entertainment and leisure complex offering wholesome fun, thrill and excitement for people of all ages. 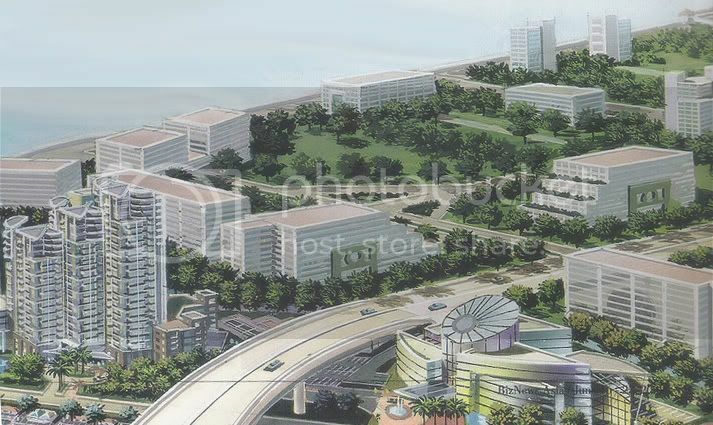 It is set to rise on a stretch of prime reclaimed land between Roxas Boulevard and the panoramic Manila Bay. 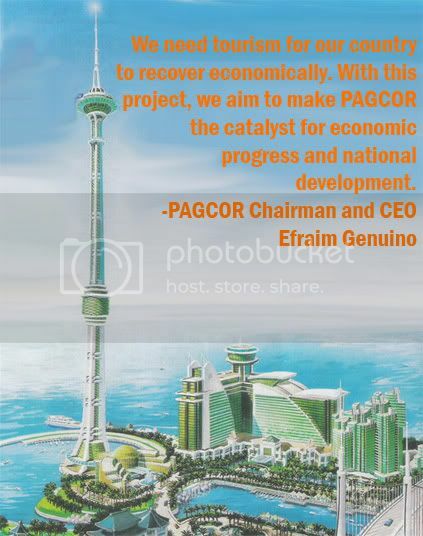 The project is spearheaded by the Philippine Amusement and Gaming Corp., the state gaming regulator, and was developed by the PAGCOR chairman and CEO Efraim Genuino. Also the Manila Bay Integrated City is in line with the agenda of Philippine President Gloria Macapagal-Arroyo of harnessing tourism as a catalyst for economic growth. 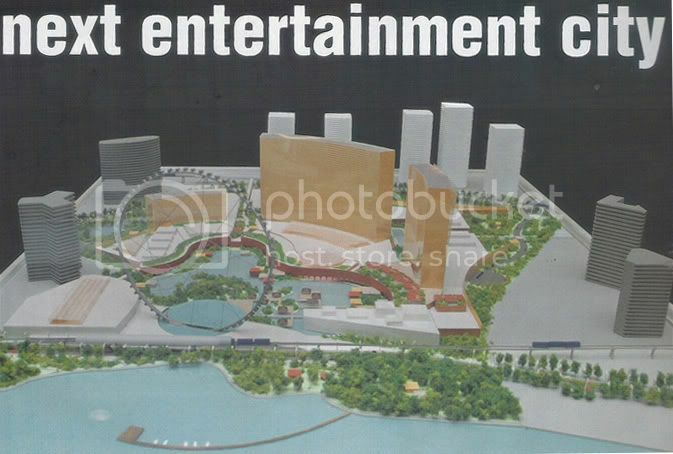 The project shall showcase a diverse range of international-grade leisure and amusement facilities while offering a taste of the tropical charm of the Philippines and the warm hospitality of the Filipinos. Click "Read More" to view what the Tourism City has to offer. The Manila Bay Integrated City is in the right position to succeed considering its advantageous location. The Philippines serves as a gateway to Asia, being only two or four hours away from other countries such as China, Japan, South Korea, Malaysia, Singapore, Hong KOng, Macau, Thailand, Vietnam and Australia. Initial investment is estimated to reach $6bn and expected to be completed by 2012. More than 250,000 jobs will be created. The tourism zone itself will employ 30,000 directly. Each direct job creates seven to eight other jobs indirectly. 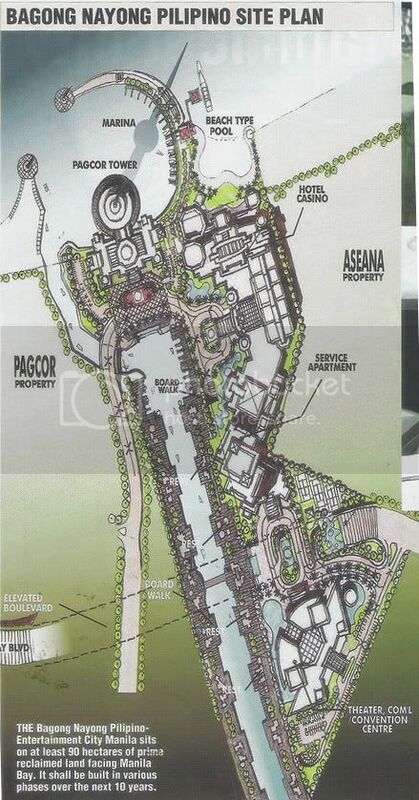 The Tourism City project represents PAGCOR's shift from mere casino gaming into whole-some, family-oriented creation and entertainment business, says Genuino. 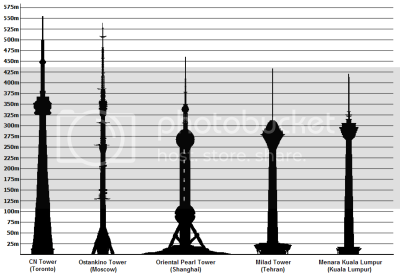 Once the PAGCOR Tower is completed it will be the second tallest structure in the world.